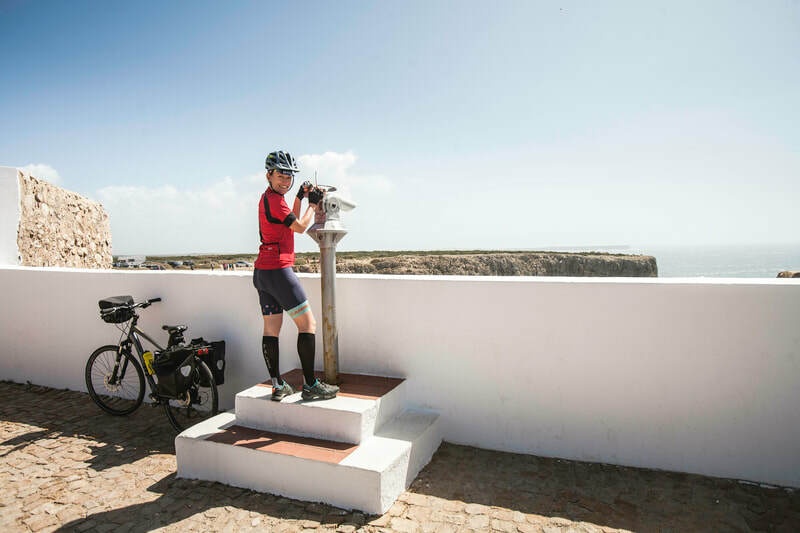 Self Guided bike tour from Lisbon to Sagres, following the Alentejo & Algarve coast along the scenic Rota Vicentina. 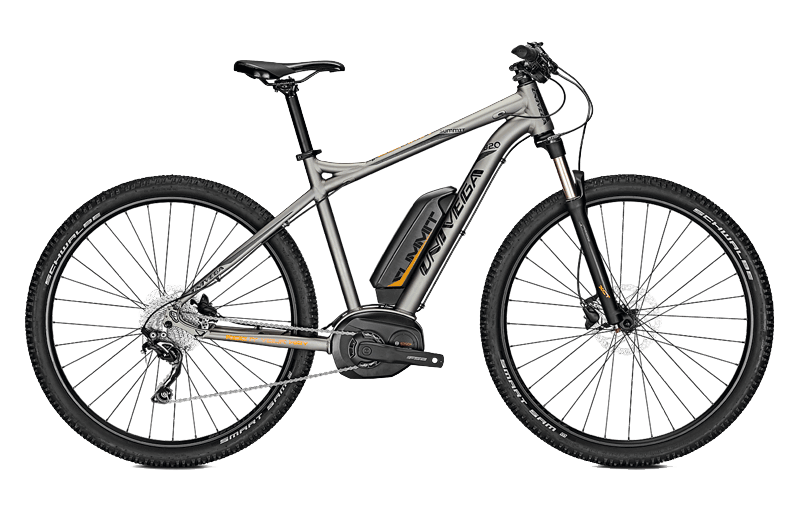 Plenty of sunshine, salty air and a tail wind will carry you south through rural towns and seaside villages. The Rota Vicentina Self Guided tour Bike Bed & Breakfast pack offers you one of the most enjoyable bicycle holiday destinations in Portugal. 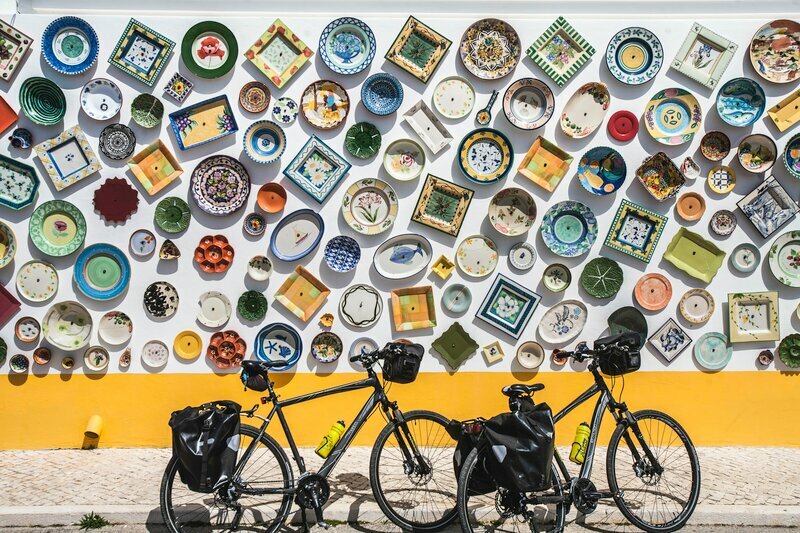 From friendly locals to delicious and inexpensive food as well as beautiful accommodation, the Alentejo and Algarve regions of southern Portugal are a cycle touring dream location. You'll experience a memorable montage on this coastal bike tour of Portugal, from magnificent seascapes, pastoral farmlands, working windmills, and historical monuments such as Henry the Navigator's Navigational School perched on a wild headland at Sagres, over the blue waters of the Algarve. 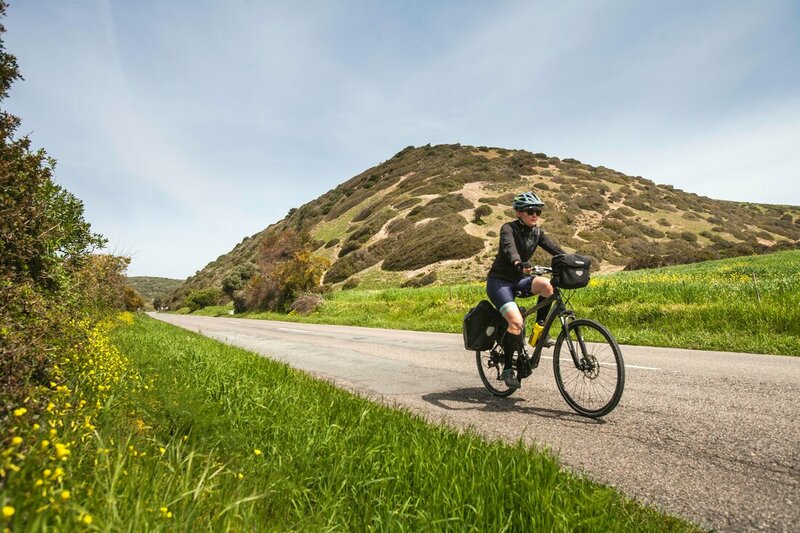 Cycle the this route from the end of March to May and the fields are alight with wild flowers and the headlands dotted with bright pink iceplants. 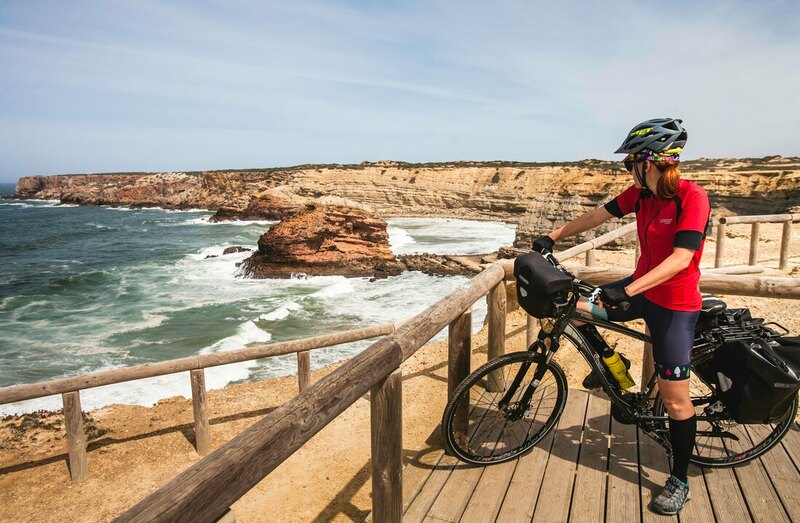 The many beaches along the Alentejo and Algarve coast are wonderful for mid ride swims to cool off and lazy lunches of the freshest fish. grilled to perfection and served with a glass of vinho verde. 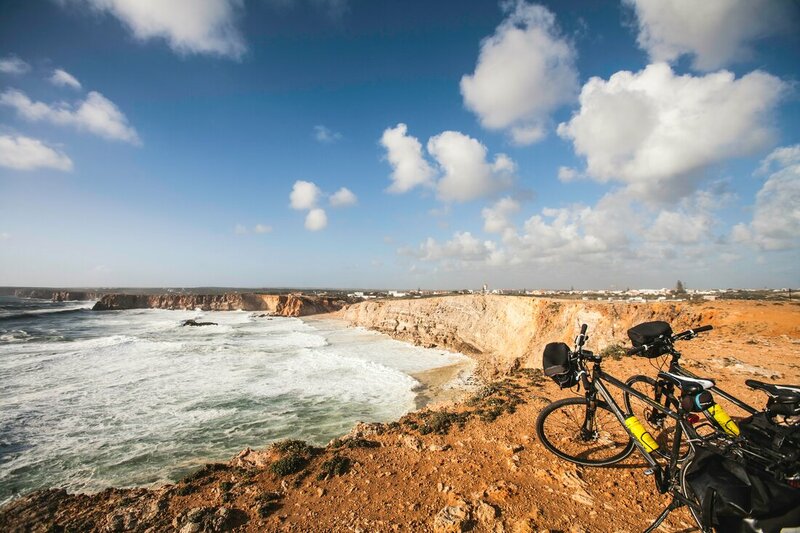 With an average 300 days of Sunshine a year, the Algarve also promises good weather for cycling even out of season. We first rode this trail in 1987 and it is still as goregeous as it was then - find out for yourself! 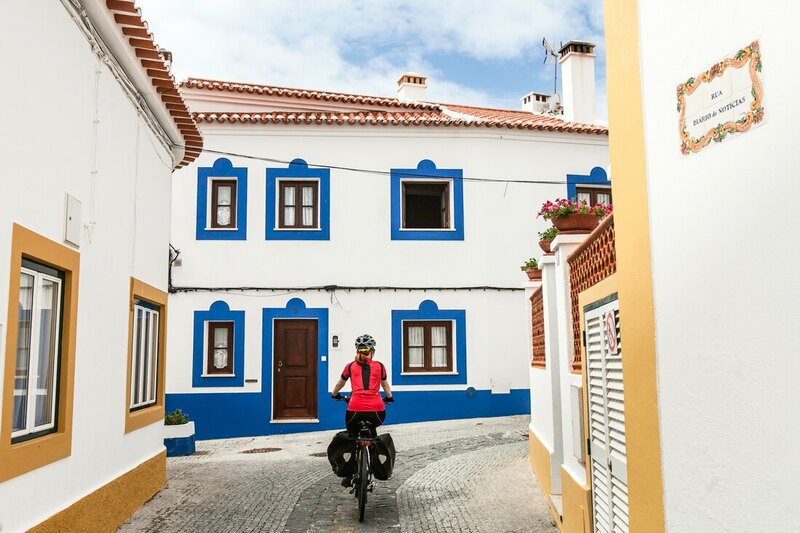 Transfer out to Azeitão and enjoy a short afternoon ride through the Arrabida National Park with stunning views of turquoise waters over the estuary and keep an eye out for Dolphins! 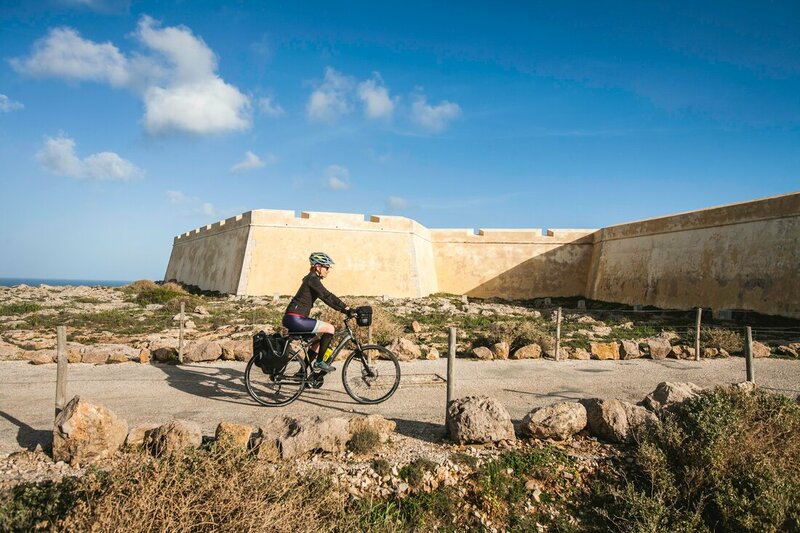 Cycle along the Troia peninsula past bird sanctuaries, stunning beaches and rice fields! 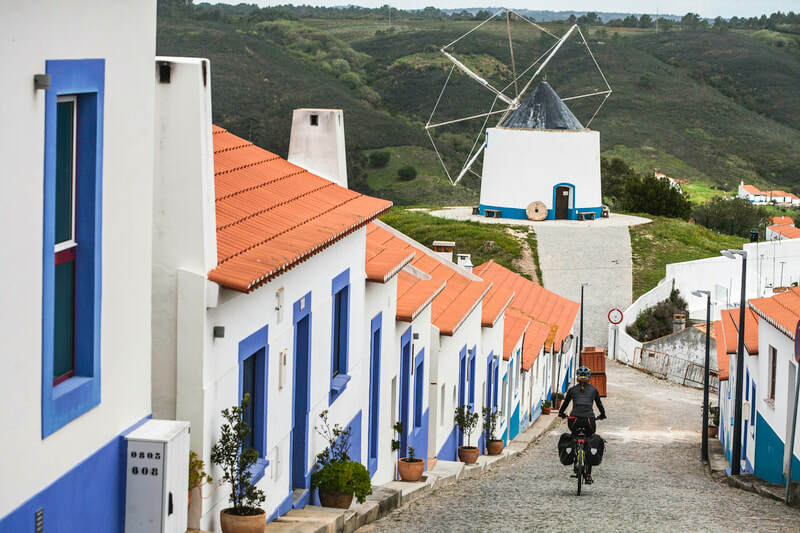 Loop inland through the pastoral countryside dotted with windmills and small villages famous for their pottery or enjoy a day off the bikes on the beach. 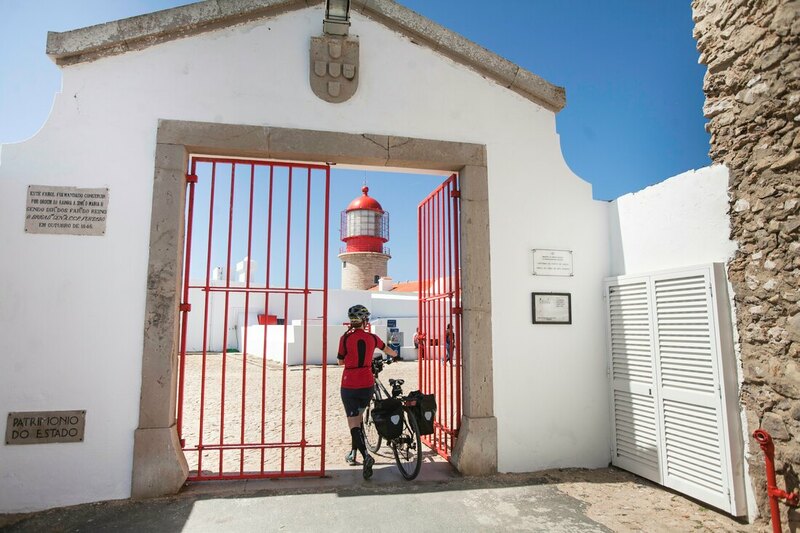 Cycling straight south into the Algarve to Portugal’s south western tip and the school of Henry the Navigator. Taxi transfer from Sagres to Lagos. 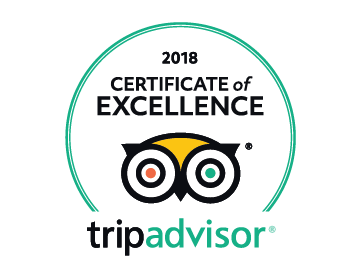 Comfortable accommodations with private bathrooms, ranging from boutique hotels, country inns, manor houses and seaside B&B's - all chosen for comfort, charm and convenience to sights. All photos show the actual hotels we use. Luggage Transfer from start to final destination €60 per bag, up to 15kg. Bags collected from Lisbon hotel and delivered directly to hotel in Lagos. Lagos to Faro - price on request. 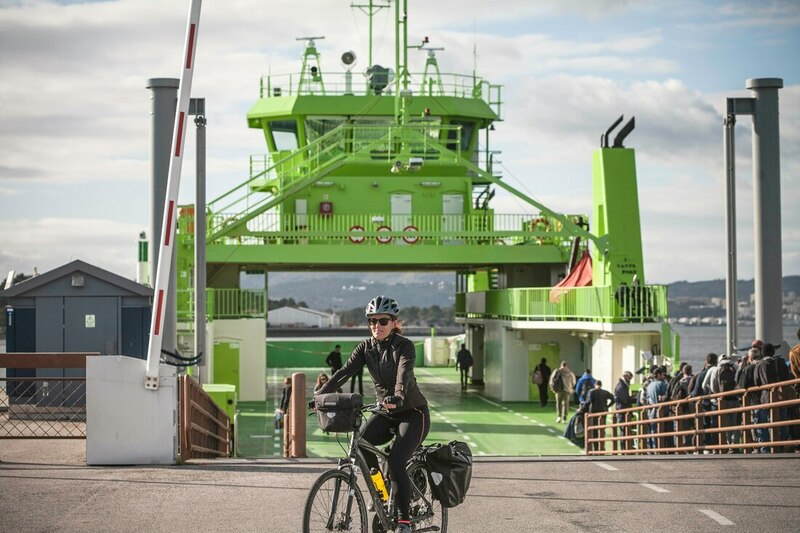 Thank you so much for making my first cycling trip such an enjoyable one. Your impeccable organization ensured that everything went smoothly. Food was irresistible and the scenery spectacular.